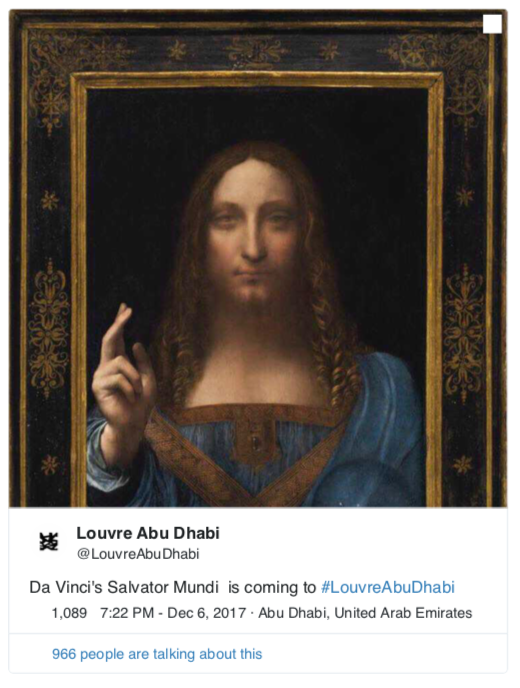 Yesterday, it appears that the art and museum world ran amok with April Fools Day fake news on the whereabouts of Leonardo da Vinci’s Salvator Mundi. Tongue-in-cheek April 1st reports claimed that the "missing" $450m painting is hanging in US President Trump's private quarters at the White House. Another reported that Abu Dhabi planned to trade the painting to neighboring emirate Qatar in exchange for Paris Saint Germain soccer player, footballer Neymar da Silva Santos Júnior, the Brazilian forward. Neither of course are true. While its location remains a mystery, the tale of the Salvator Mundi is a complicated one of power, intrigue, betrayal and seemingly immeasurable sums of money ARCA is continuing to follow the controversy surrounding the world's most expensive painting. When the painting, “Salvator Mundi” (Savior of the World), attributed to Leonardo da Vinci, was sold at Christie's Auction for $450.312,500 in November 2017 it had already created a stir. Some felt the oil painting of Christ, depicted in Renaissance dress giving a benediction, was wrongly attributed. Others were simply flabbergasted by the eye-popping price the once badly-damaged artwork bought at auction. In its recent history, the artwork, attributed to Giovanni Boltraffio and characterized as a “school of da Vinci” portrait of Christ, was purchased for a paltry £45, on June 25, 1958, by Minnie Stanfill Kuntz. Kuntz picked up the artwork during an auction at Sotheby’s in London, of objects from the estate holdings of Sir Francis Cook. Minnie, who along with her husband ran a furniture business back in the United States, brought the religious-themed painting home to New Orleans. After her death in 1987 the oil on walnut painting passed into her nephew's hands, Basil Clovis Hendry Sr., of Baton Rouge. 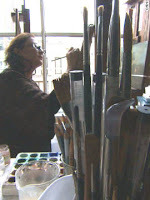 Hendry's daughter, Susan Hendry Tureau, a retired library technician, subsequently inherited the painting upon the death of her father in June 6, 2004. A short while afterwards, she decided to sell it. Hendry Tureau obtained an appraisal which valued the artwork at a modest $750 and sent details on the painting for sales consideration to Christie's in New York and to the St. Charles Gallery branch of New Orleans Auction Gallery. This Louisiana gallery, which has since changed hands, is where the “Salvator Mundi” was eventually consigned. During the gallery's April 9-10, 2005 auction, the inherited painting was listed as Lot 664, and given an estimated sale price of $1,200 to $1,800. The artwork sold for a brisk $10,000. at work in her studio. The buyers of the artwork were Robert Simon, a specialist in Old Masters from New York, and Alexander Parish. The pair, in turn, hired Dianne Dwyer Modestini, an Old Master and nineteenth-century paintings conservator who worked at the Metropolitan Museum of Art from l974 until l987, before moving on to further her private practice in paintings conservation in New York. Modestini, a senior research fellow and conservator of the Kress Program in Paintings Conservation at NYU’s Institute of Fine Arts, was tasked with cleaning, repairing and studying the painting. Six years of painstaking restoration and the removal of dirt and stains were to follow. During this time Modestini worked her way through deciphering the clumsy overpainting and repairing the damages wrought by time to the 500 year old work of art. With few known paintings by the great master in existence, and with most of Da Vinci's works in museums or public collections, the painting's possible attribution drew considerable excitement, as well as controversy, even before its ultimate November 2017 sale price. Some connoisseurs see the artwork as an unrecognized work by da Vinci, with numerous restoration enhancements or adulturations (depending upon the eyes of the viewer). Others believe the artwork to be a lessor-valued "school of" work, where Leonardo likely, if at all, only intervened in a few specific places. Some believe the artwork was painted primarily by an assistant, Bernardino Luini, a work of art that would eventually become, possibly, the prototype for up to twenty Leonardesque versions, which were completed by students and followers of Leonardo and which depict this well known composition of Christ. But the controversies surrounding the painting were not solely related to its attribution, some of the disagreements include the orchestrations surrounding its various transactions in the art market, at different stages, after its declaration as a probable work by Leonardo da Vinci was gaining momentum. The market in high-end art has long had the potential to be one of the most manipulated markets in the world, and the sale of this once unknown portrait of Christ, now labeled as the work of Leonardo da Vinci, clearly illustrates this, as well as the struggle often caused by the market's opacity and interconnectedness. As is often the case with high value works of art, price and worth are determined by the motives of both the buyers and the sellers. Scratch below the surface of the transactional price and a clinched deal may have more to do with strategy and power than simply with the artworks innate aesthetic or genuine worth. Bolstered by an exhibition at London's National Gallery held November 2011 through February 2012, and where the painting was listed as “an important opportunity to test this new attribution by direct comparison with works universally accepted as Leonardo’s”, the owners of the painting, Simon, Parish and Warren Adelson, president of Adelson Galleries, approached Max Anderson, and offered to sell him the “Salvator Mundi”. This was in the Fall of 2011 and shortly before Anderson was appointed as director of the Dallas Museum of Art. As part of their sales strategy, the dealers agreed to loan the artwork to the DMA from March through December of 2012. As the first US exhibition of the painting, it was hoped the event would give the new director time to generate enthusiasm around its possible purchase and to buy the museum time to look for adequate funds. Later, Anderson was quoted as saying the museum could have “snagged” the artwork for $125 million. Yet, despite the director's best fund-raising efforts and enthusiasm, a viable deal, which satisfied the three sellers as well as the museum's board and donors, never solidified. In December 2012, the owners rejected the museum’s final bid following considerable negotiation. Soon after, the artwork was shipped back to New York, to be sold on the auction block. With two well publicized exhibitions to back it up, a muted presale estimate of $100 million, with a da Vinci attribution, was srtimated. Ironically though, in May 2013, Swiss businessman and freeport mogul, Yves Bouvier, negotiated a lower purchase price from the consortium's sellers. After a short period of discussion, the businessman's offer of $83 million, via a privately brokered sale proposal, was accepted by the sellers. Their transaction was closed by Sotheby's rainmaker, Sam Valette, a senior director and vice chairman of private sales for the auction house. Known for his ability to generate large sums of money closing deals with high profile clients who seek total discretion outside the auction hall, Valette also, on occasion, wrote assessments on artworks for Bouvier. 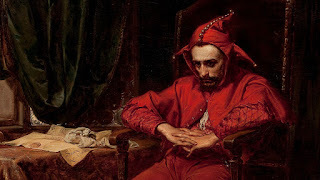 As the Swiss art dealer was known to buy works of art from Sotheby’s in his own name in furtherance of his art sales business, Valette purportedly was not aware who Bouvier intended to sell the painting to. This suggests that as far as the auction house was concerned, Bouvier was not, in this instance, to their specific knowledge, acting as an agent for any buyer in particular when the Da Vinci transaction was finalized. Immediately after purchasing “Salvator Mundi”, Bouvier flipped the oil painting to his long-standing client, Dmitry Rybolovlev, a Russian oligarch whose fortune was built from his interests in Uralkali, one of the world's leading producers of potash fertiliser and one of Russia's largest chemical companies. Bouvier sold the Christ painting to the Russian for $127.5 million, $44 million more than his had purchased it for. Four years later, and in the middle of a raging feud between Rybolovlev and Bouvier, the Russian oligarch sold the painting via auction to Saudi Prince Badr bin Abdullah bin Mohammed bin Farhan al-Saud for $450.3 million. After the buyer was announced, news reports began declaring that the painting would be publicly displayed on September 18, 2018 at the newly opened Louvre in Abu Dhabi. Acting in the interest of the Seller and the Buyer. Art-world luminaries aren't always who you expect them to be. 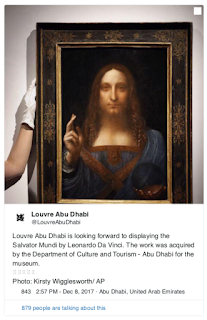 The circumstances surrounding the private deal Bouvier struck with Rybolovlev, and Rybolovlev then struck via public auction with Saudi Prince Badr bin Abdullah bin Mohammed bin Farhan al-Saud, for the “Salvator Mundi” leave a trail of unanswered questions and intrigues. Some of the details seem ripped from the pages of a Ian Fleming, 007, spy novel involving characters seemingly taken straight out of Casino Royale. Dmitry Rybolovlev met Yves Bouvier for the first time in 2002 when the Russian billionaire paid a visit to the art storage facility Ports Francs et Entrepôts de Genève, to pick up a Marc Chagall painting that he had purchased titled “Le Cirque”. The billionaire's aloof, art connoisseurship was fueled by his profits from potassium potash fertilizer (K20) business. Potash being one of the main nutrients applied to soil in intensive cropping systems in agriculture around the world. For Rybolovlev, art served as an investment, a portfolio diversifier, and most importantly as a transferable safe haven asset. Portable, and not denominated in any currency, over the span of ten years, and prior to their litigious falling out, Bouvier would source and sell the Russian investor a total of 38 high value works of art. Like many former Soviet Union oligarchs, Rybolovlev made his fortune through the privatisation of Russia’s infrastructure and natural resources, just as the former Soviet economic and political system began to shift under the Perestroika movement to a fledgling market-based economy. The son of doctors from the industrial city of Perm, in what was once the Gulag Archipelago in the Ural region between the East European and West Siberian plains, Rybolovlev's acumen and interest was for business investment opportunities, not medicine. By the time he was in his late twenties he had begun buying up shares in Uralkali, Perm's local fertilizer firm and other former Soviet, joint-stock companies in the region. By 1995, and before the age of thirty, Rybolovlev had been named chairman of Uralkali's board, holding the company's majority shares. The fertilizer powerhouse had only three serious business competitors: Belarusian BPC, the Canadian PotashCorp, and the Israeli firm ICL. But business oligarchy in the former Soviet republics is not for the risk-averse. In post-Soviet Russia, the underworld blended with the new elite of the Yeltsin era and as State assets were bought up and privatised, businesses were sometimes forced into paying professional criminals for protection. As communism crumbled to dust and Russia's new business-sector entrepreneurs made billions, criminals too profiteered, exploiting opportunities where they could as Russia’s cannibalistic capitalism took hold. As the values and structures of Soviet life disintegrated, organised crime cemented itself into the vulnerable cracks of the emerging market economy. Attempts on the lives of Perm businessmen were not uncommon and to protect himself, the Potash Tzar's hired bodyguards, began wearing a bulletproof vest, and travelled by armoured car. Fearing kidnapping or worse, he decided to relocate his family, first to Florida and then ultimately to Switzerland where the family set up residency in Geneva in the Spring of 1995. Thereafter, Rybolovlev traveled between Geneva and the Ural region as needed for business. In the Spring of 1996 during one of these trips, Rybolovlev was arrested on suspicion of having ordered the murder of former business partner, Evgeny Panteleymonov, the general director of AO Neftekhimik in Perm. 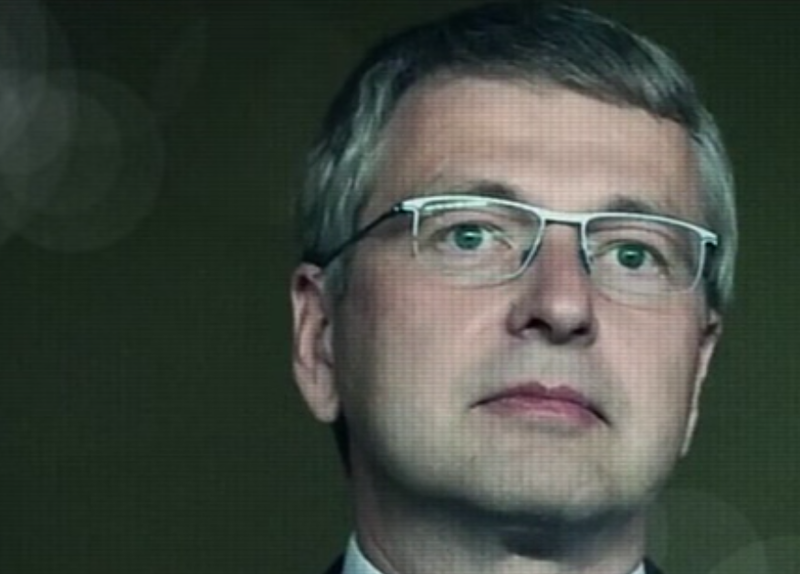 Neftekhimik is a joint stock chemical company in which Rybolovlev reportedly owned 40% of its shares. Incarcerated for 11 months, Dmitry Rybolovlev was released on a 1 billion ruble bail in April 1997 when convicted murdered Oleg Lomakin, who initially fingered the oligarch as having ordered the hit, changed his story claiming to have perjured himself. By the end of the year, the Perm Regional Court had fully acquitted the businessman. In a later interview given to Vedomosti, the Russian-language business daily published in Moscow, Rybolovlev stated that he didn't want to comment on his period of incarceration, considering the incident an unfortunate "law enforcement mistake." By August, 2003 Rybolovlev had bought his first painting from Bouvier, “Paysage Avec un Olivier”. The artwork, by Vincent van Gogh, was bought for a purported $17 million and seemingly cemented the Swiss dealer's formal, or informal, business relationship with the Russian oligarch. By 2006 Rybolovlev indicated that he held an 80 percent stake in Uralkali as well as a 20 percent stake in Silvinit, Uralkali's rival potash producer, and by 2008 Rybolovlev's spending on art and real estate accelerated. Around this time, Rybolovlev's wife Elena wife began gearing up for divorce and on December 22, 2008 formally filed through the court in Geneva where, according to Swiss law, she would be entitled to half of her husband’s assets. In a worrying letter, written to the Geneva prosecutor in December 2008, Elena suggested that her husband, Dmitry, should be considered a suspect, should anything nefarious ever happen to her. The couple's acrimonious legal battle would stretch on for years, complete with a tangled web of trust funds, created ostensibly to protect his two daughters' financial futures. Elena's attorneys contentiously speculated as to whether or not these trusts, in some cases using offshore front companies registered in the British Virgin Islands and elsewhere, were created fraudulently to thwart spousal access to her husband's diversified wealth. That same year the already tense game of Russian fertilizer roulette grew tenser and talk began to swirl about the billionaire selling his interests in Uralkali outright. 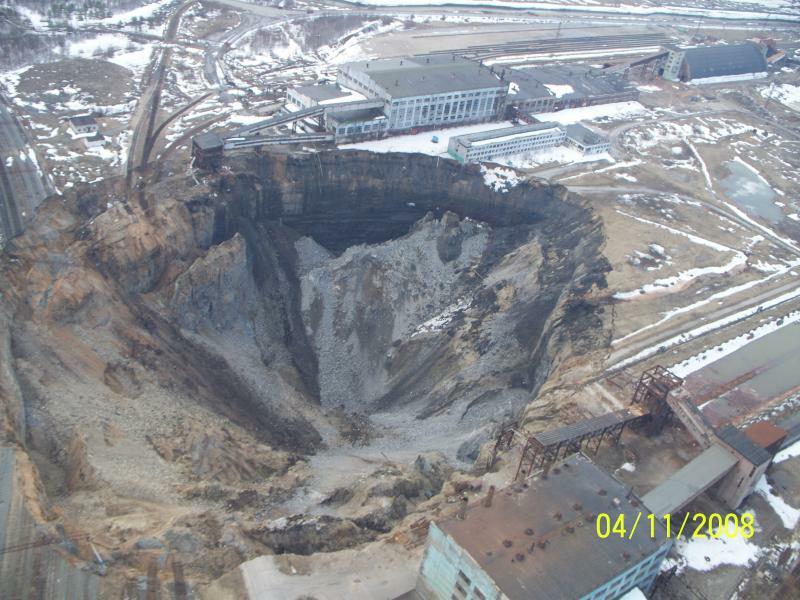 In addition to an angry estranged wife, Rybolovlev began fending off renewed inquiries into a 2006 calamity at a Uralkali mining facility in Berezniki. This incident had caused significant structural and environmental damage to the main arteries of the city's infrastructure and properties. With Kremlin-backed businessmen under the Putin era began pressing for their own ownership stakes in financially weakened privatized industries and regional authorities were seeking between $1.5 billion and $50 billion in damages as a result of the industrial disaster. That same year Uralkali's CEO Vladislav Baumgertner was arrested on charges of abusive exercise of power and abuse of office and Belarus authorities issued warrants for the arrest of other top Uralkali executives. With pressure mounting on many fronts, and risking to lose a substantial chunk of his empire's fortune, Rybolovlev, began expanding his growing galaxy of tax shelters. On July 16, 2008, through a limited liability company, the billionaire arranged for the off-market purchase of an 18 bedroom, 22 baths, 62,000 square-foot beach-side mansion, named “Maison de l’Amitie” in Palm Beach, Florida. The property was purchased from owner Donald Trump for a reported $95 million. Why a market savvy Russian businessman would purchased property from the future president of the United States, at a $50 million markup, during a real estate downturn, is not clear. The French Regency-style estate once boasted a garage big enough to accommodate 50+ cars, a 30.5-metre long swimming pool, three guest houses and purportedly bulletproof windows. But after the real estate deal closed Rybolovlev never moved in. 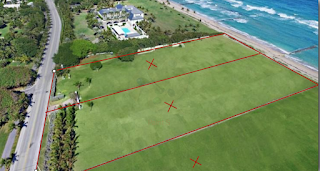 Later, Palm Beach's newest billionaire bulldozed the entire 6.5 acre estate and split the land into three separate parcels. 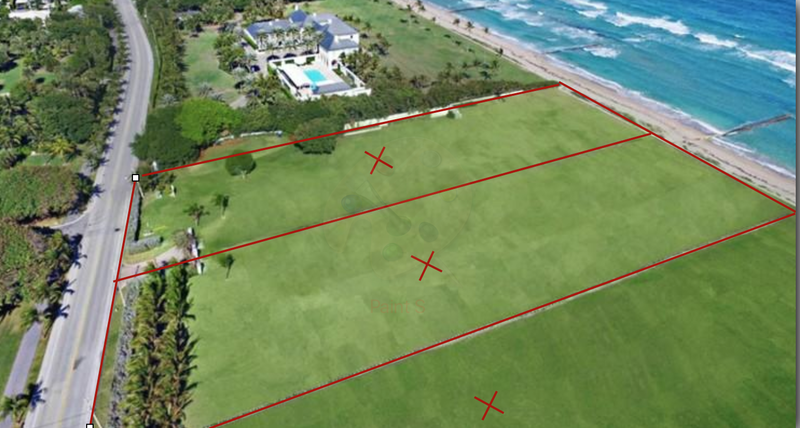 Two of these barren oceanfront plots were then flipped, recouping $71 million of the Russian's initial investment. The third has reportedly not been sold. 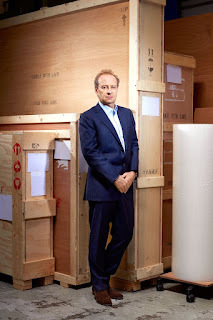 In 2009 Rybolovlev began making arrangements to move artworks purchased and stored at Geneva's Ports Franc Bouvier's Singapore freeport, an über-warehouse was inaugurated in May 2010 and abuts Singapore's Changi International airport. That same year, Rybolovlev's firm, Uralkali reached an eventual settlement agreement on damages for the industrial accident and payed out a relatively modest $218 million in damages for the harm it caused. Three months later, in September of 2010, Rybolovlev bought controlling shareholder interest in the Bank of Cyprus via Odella Resources LTD, a business he registered in the British Virgin Islands, which belongs to the Trustees of a Cypriot international discretionary trust, the beneficiaries of whom are Mr. Dmitry Rybolovlev and his two daughters. Shortly thereafter the Russian acquired Cypriot citizenship under the country's citizenship-by-investment scheme. Rybolovlev's investment in the Cyprus bank once consisted of deposits at the BoC and €500 million euro in shares, and was reportedly lost by June 2013. In 2014, President Trump's Secretary of Commerce, Wilbur Ross, became the Cyprus bank's chief shareholder. Still pending divorce, Rybolovlev's continued to add to his constellation of art, businesses and properties. Some were also purchased via trusts in the names of family members orchestrated via a company called Xitrans Finance Ltd., mentioned in the Panama Papers, an expose made up of 11.5 million documents leaked via a Panama-based law firm involving the financial dealings of shell companies many of which were created by large corporations and high net worth individuals, ostensibly for offshore, tax shelter purposes. As some of Rybolovlev's transactions predate his divorce proceedings, the motives for these shelters he established seem to center on protection of assets in general. By 2011 Dmitry had moved from Geneva to Monaco. Securing a 66.67 percent ownership majority in the Football club AS Monaco FC. Likely saving the club from bankruptcy when it was at the bottom of France’s second division list, Rybolovlev the football club's president. That same year he also completed off market deals for the purchase of a Hawaiian villa from Will Smith for $20 million and purchased a 20th floor, Central Park West penthouse, once owned by Sandy Weill, the former chairman and chief executive of Citigroup, for $88 million. Both properties were bought via trusts created in the name of his 22 year old daughter, Ekaterina Rybolovleva. It was in this very New York apartment, in March 2013, that Rybolovlev first viewed the painting now attributed to Leonardo. The viewing was arranged with Sotheby's, surprisingly enough, through Sam Valette, while the billionaire was visiting New York. If the mogul was already interested in purchasing this work of art in March, it is not quite clear why he would then elect to passively wait until later to buy the painting at a much higher negotiated price via Bouvier. The sellers of the painting, Simon, Parish and Adelson, also questioned the sequence of Rybolovlev's private viewing, crying foul formally in 2016 when news of the viewing came to light. The sellers of “Salvator Mundi” claimed, in Manhattan federal court, that they had been shortchanged on the subsequent higher priced purchase, Bouvier orchestrated later with Rybolovlev. Sotheby’s indicated in their own court filings that Valette didn’t realize who the Central Park potential buyer was at the time of the scheduled private viewing. Though they conceded that he did recognize Rybolovlev from a previous sale, likely that of Gustav Klimt’s “Water Serpents II”, a painting looted in World War II and later sold for $183.8 million in 2012. Sotheby’s eventually reached a confidential out of court settlement with Simon, Parish and Adelson though the details of their settlement agreement are private. Whatever the circumstances surrounding the sale of the “Salvator Mundi,” it was not long afterwards, in 2014, that the relationship between the Russian and the Swiss businessmen turned sour. Rybolovlev, by then living in a three story penthouse in une belle époque, overlooking the yacht-filled harbor of La Condamine in Monaco, took his former Swiss art advisor to court, going so far as to have him arrested on his own doorstep after summoning the Swiss dealer to Monaco to discuss an ongoing business transaction. In court papers filed in multiple jurisdictions, Rybolovlev accuses Bouvier of defrauding him of approximately $1bn, for the works of art he purchased via the dealer over the lifespan of their business relationship. The Russian magnate has claimed that the Swiss dealer had been working as an agent on his direct behalf, on a limited commission basis, but instead took disproportionately large commissions for himself on the art sales he negotiated. 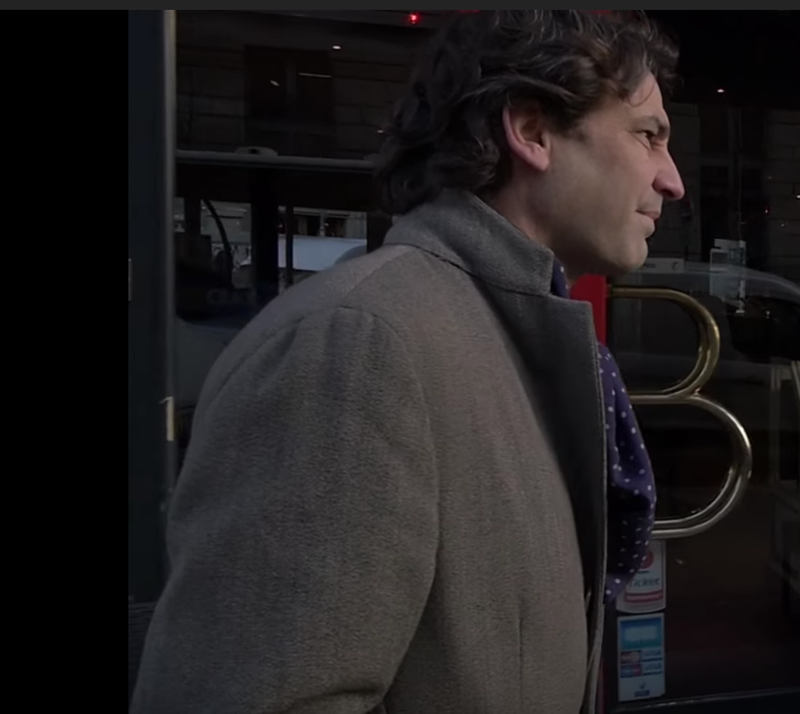 Bouvier, on the other hand, maintains that any agreements made between the pair were never formalized in writing and therefore, as therefore, as an independent art dealer, he was at liberty to charge the billionaire whatever markup he deemed acceptable in furtherance of closing said deals. By March 2015 Rybolovlev has filed lawsuits against Bouvier in two other countries: Hong Kong and Singapore, where the Swiss dealer was living. As the litigation raged, the Russian billionaire sought to have Bouvier’s assets frozen. A lengthy civil standoff between the former business acquaintances begins. On October 12, 2015 Russian press announced that the freeport of Vladivostok, overlooking Golden Horn Bay was to be reestablished. The project would be led by Yuri Trutnev, senior adviser to Vladimir Putin, who curiously is also the former mayor of Perm. Two and a half weeks later, on October 20, 2015, Rybolovlev and his wife Elena jointly announce that they have reached a confidential and satisfactory settlement in their divorce, stating that this "puts an end to all legal procedures launched in different jurisdictions". On this same date, he walks his then 26 year old daughter Katerina down the aisle to marry Juan Sartori on the now leased Onassis's private island of Skorpios. Satori is a Uruguayan entrepreneur who, in his thirties, chairs the Union Group (UG), a private firm that has significant interests in ventures related to agriculture, energy, afforestation, infrastructure, minerals, gas and oil, as well as real estate in Latin America. Satori is now running as the Uruguay's National Party candidate for President in the 2019 elections for the Republic of Uruguay in opposition to the ruling Frente Amplio government. In early 2017 Rybolovlev offloaded many of the 20th-century artworks he had previously purchased through Bouvier, some for strikingly high losses. By the fall, Rybolovlev had also put the “Salvator Mundi” artwork up for auction at Christie’s through rainmaker Loïc Gouzer whose had brashly convinced the oligarch to auction the classical Old Master oil painting in the auction house's November 15, 2017 Postwar and Contemporary sale. The painting was listed as Lot 9B, and came with a $100 million guarantee. Surging quickly past this benchmark during the auction, two anonymous bidders battled tightly to outbid one other for twenty minutes until the threshold finally grew too rich for one of them. Selling to the highest bidder, for $450.3 million inclusive of the 12.5% buyers premium, the artwork ranked as the single most expensive work of art ever sold at auction. The following January (2018) Rybolovlev is named in the U.S. Treasury Department's Kremlin Report, a list of 210 officials and billionaires from Russia's ruling elite, who are expected to receive additional scrutiny in future business transactions in response to Russia's alleged meddling in the 2016 U.S. presidential election and Russia's military involvement in Ukraine. In 2017 Rybolovlev is charged in Monicao with "complicity in violating the right to respect for privacy" in connection with his ongoing dispute with Bouvier. 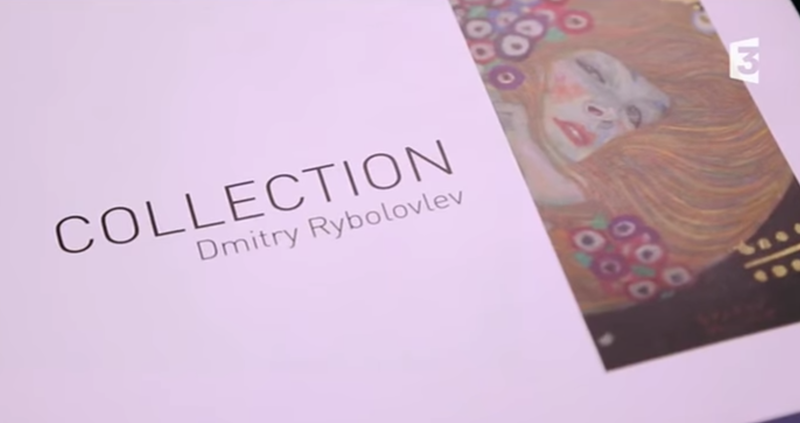 On October 2, 2018 Rybolovlev files a $380 million lawsuit in the US District Court of New York against Sotheby's alleging that the auction house “materially assisted the largest art fraud in history” in relation to sales orchestrated by Yves Bouvier. Meanwhile, between November 6 and 7, 2018, as the result of the same SMS messages obtained by the judicial authorities of Monaco from the phone of Tetiana Bersheda, one of Rybolovlev's previous lawyers related to the 2017 charge, the billionaire is taken into custody in Monte Carlo. Held overnight by law enforcement, his residence is searched as part of an investigation into suspicions of influence peddling where it is suspected that Rybolovlev had been seeking to influence members of the higher echelons of power within the Principality of Monaco. After his release the billionaire is formally named as a suspect in a graft investigation by Monaco's prosecutor general Sylvie Petit-Leclair who confirmed that Rybolovlev was under investigation for "active trading in influence" and "active bribery" involving Monaco's former interior minister Paul Masseron, three police officers, Christophe Haget, Patrick Fusari and Régis Asso, and Philippe Narmino, the Director of Judicial Services (equivalent to the Minister of Justice) as well as Narmino's wife and son. As a result of this investigation Rybolovlev is now subject to security constraints on his movement while the court determines whether there is sufficient evidence to hold a trial. As of 2018 civil litigation between and surrounding the business transactions between Rybolovlev and Bouvier remain ongoing in different jurisdictions including Monaco, Switzerland, Hong Kong, France and New York as does this criminal inquiry in Monaco. From 1997 until October 2017, through his Swiss holding company, Euroasia Investment SA, Yves Charles Edgar Bouvier served as the main shareholder in his family's company, Natural Le Coultre. 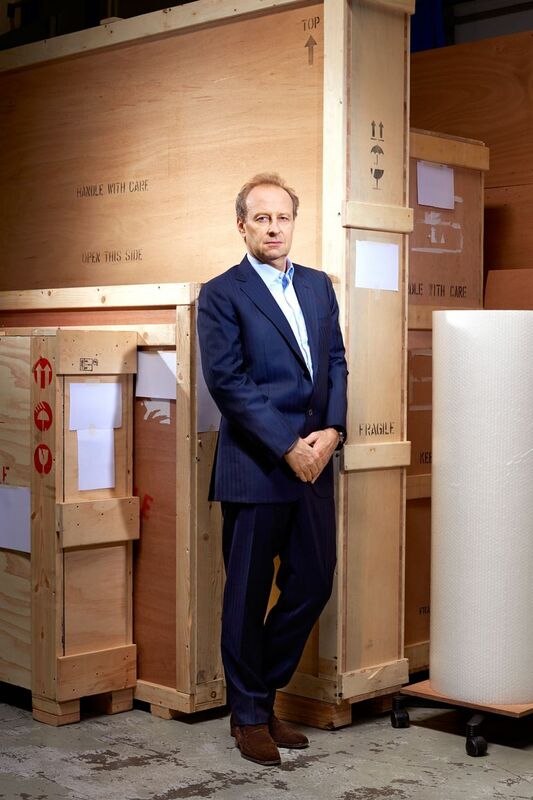 Under his guidance, art and shipping magnate would build the firm into one of the largest specialty firms for the storage, packing, shipping and conservation of fine art. At the Swiss Freeport in Geneva, Natural Le Coultre boasted a 22,000 square meter, state-of-the-art, art storage facility where art works were secured, showcased and bought and sold in a tax-free setting. Before selling the firm to the French shipping firm André Chenuein, Natural Le Coultre offered freeport services and consultancies at Ports Francs & Entrepôts de Genève SA in Geneva, as well as in the freeports of Singapore and Luxembourg. As a result of his shipping firm's extensive connections with international auction houses, curators, galleries, art dealers and private collectors, Bouvier, a successful entrepreneur, bought and sold art as well as consulted on the private sale and purchase of valuable art. It was through this line of work, at Ports Franc in Geneva that Bouvier met Dmitry Rybolovlev for the first time in 2002, when the billionaire visited the Geneva Freeport regarding a Marc Chagall painting, “Le Cirque” the Russian businessman had acquired. In that instance, Bouvier reportedly assisted the billionaire with documentation related to the artwork's purchase. In August 2003 Bouvier went on to sell Rybolovlev the first of 38 artworks he would procure and sell to the Russian investor over the span of their business relationship. The work was “Paysage Avec un Olivier” by Vincent van Gogh and was sold to the Russian for upwards of $17 million. By October 2004 Bouvier had acquired “Les Noces de Pierrette” by Picasso from New York dealer William Acquavella, and this too was flipped to Rybolovlev for a purported $43.8 million. Three years later, in 2007, Bouvier would sell Rybolovlev four additional works of art, though it is unclear which four pieces were sold to the oligarch sold during this time period. Rothko’s “No. 1”, sold in June 2008 for $36 million. Picasso's “Joueur de Flute et Femme Nue”, sold in 2010 for $35 million. Amedeo Modigliani's “Nu Couché au Coussin Bleu”, sold in 2011 for $118 million. Toulouse-Lautrec's “Au Lit: Le Baiser”, sold in February 2013 for €14 million. 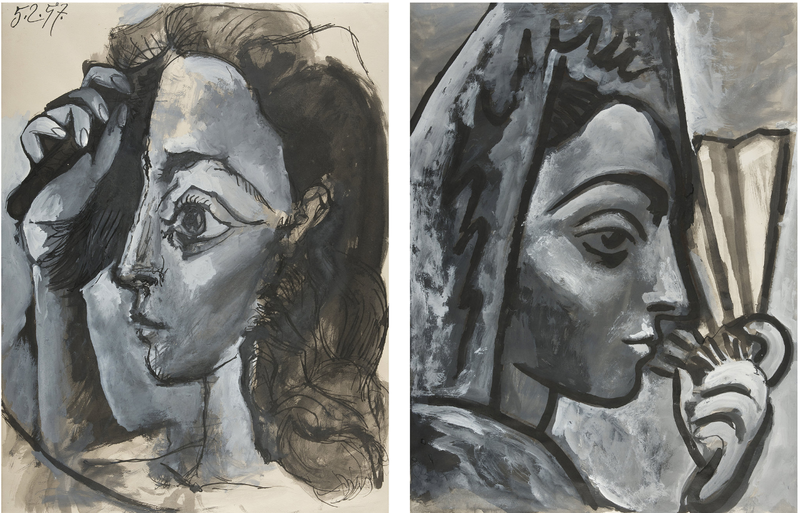 Picasso's “Espagnole à l’Eventail” and “Femme se Coiffant”, sold sometime in 2013 for $27 million. Paul Gaugin’s “Otahi”, sold sometime in 2013 for $120 million. Paul Gaugin’s “Te Fare”, sold sometime in 2013 for $85 million. Auguste Rodin’s sculpture “L’Eternel Printemps”, sold sometime in 2013 for $48.1 million. Auguste Rodin’s sculpture “Le Baiser Grand Modele”, sold sometimes in 2013 for $10.4 million. Leonardo da Vinci’s “Salvator Mundi”, which sold in May 2013 for $127.5 million, the price he obtained being uplifted $44 million over his own negotiated purchase price that same year. In 2014 Bouvier had also been negotiating one additional deal with Rybolovlev, the sale of Mark Rothko’s “No. 6” (Violet, Green and Red) for a purchase price of $80 million, but the pair's relationship came to a stormy end before that sale became finalized. Bouvier was arrested in early January 2015 in Monaco on suspicion of fraud and money laundering in the Principality of Monaco. The investigation was based on Rybolovlev’s claim that the Swiss dealer had cheated him out of $1 billion by gouging him on the fees he charged for artworks purchased via the Swiss dealer. 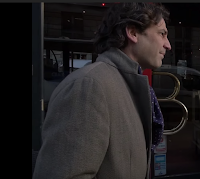 Spending one night in jail, Bouvier was released from custody on a €10 million bail and formally indicted on February 25, 2015 on charges of fraud and complicity in money laundering. By March 2015 Rybolovlev had also filed civil lawsuits against Bouvier in Hong Kong and Singapore, where the Swiss dealer was living, asking that the authorities freeze all of Bouvier’s assets. The same month, Switzerland’s Federal Department of Finance began their own investigation of Bouvier on “suspicion of serious tax infractions” estimating the dealer might be responsible for as much as $175 million in unpaid Swiss income tax. In April 2015, Bouvier resigned from his position running Luxembourg’s Le Freeport, purportedly to focus on his defence. 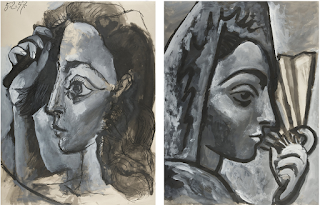 Around the same dates Catherine Hutin-Blay, the only daughter of Pablo Picasso‘s second wife Jacqueline Roque, filed a legal complaint against Bouvier asserting that two of the artists watercolours, “Femme se Coiffant” and “Espagnnole à l’eventail”, both portraits of her mother and subsequently sold by Bouvier to Dmitry Rybolovlev in 2013, were stolen. After much back and forth the Court of Appeal of Singapore ruled in April 2017 that Switzerland was a more appropriate forum for the former partners ongoing civil lawsuit. In October 2017 Natural Le Coultre was then sold to one of its competitors, the French shipping firm André Chenuein. As of 2018 civil litigation between and surrounding the business transactions between Bouvier and Rybolovlev remain ongoing in different jurisdictions including Monaco, Switzerland, Hong Kong, France and New York. “Salvator Mundi” was apparently purchased by Saudi Prince Badr bin Abdullah bin Mohammed bin Farhan al-Saud on November 15, 2017 after registering to bid with Christie's only one day before the sale. Prince Badr is comes from the cadet branch, Al Farhan, a branch of the royal family that does not trace its lineage to the founder of the modern kingdom, King Abdulaziz ibn Saud. As far as can be determined, he had not, publically, collected art in the past and was unknown to Christie's as a buyer, prior to registering to bid for the Leonardo work. Badr is reportedly close to Saudi Crown Prince Mohammed Bin Salman, who has been known to align himself with second and third generation princes, like those in the Farhan al-Saud branch, in his pursuit of cultivating a loyal cadre of loyal subordinates. During the frenzied New York auction, and unbeknownst to the winning Saudi bidder, the paddle war that drove the price to its impressive level was with a designated representative of United Arab Emirates ruler, crown prince of Abu Dhabi Mohammed bin Zayed al-Nahyan, (“MBZ”), who had also directed a representative to bid on the painting. The news of Prince Badr's winning bid was revealed in a New York Times article on November 6, 2017 and included speculation that the purchase may have been made on behalf of Saudi Crown Prince Mohammed Bin Salman, (“MbS”). This despite the fact that just two weeks earlier, on November 4, 2017, the country's extravagant ruling had as many as 500 prominent Saudi Arabian princes, government ministers, and businessmen detained and accounts frozen in what was stated to be an anti-corruption drive. Prince Badr bin Abdullah bin Mohammed bin Farhan Al Saud holds a bachelor’s degree in law from King Saud University and was appointed as the first and current Minister of Culture in the Kingdom of Saudi Arabia following a major Saudi Cabinet reshuffle on June 2, 2018 at which point the Former Ministry of Culture and Information was renamed the Ministry of Information. Prince Badr is also the CEO of the Misk institute for Arts and worked with the institute’s team under the auspices of Prince Mohammed Bin Salman’s Misk Foundation, formed in 2011, to achieve Saudi's objectives in enabling international cultural diplomacy and art exchange. In keeping with his present roles, by royal decree in July 2017, Badr was also been appointed to the Royal Commission for Al-Ula formed to promote tourism in the UNESCO World Heritage Al-Ula region with hopes of making its Nabataean tombs more accessible to Saudis and the world. Prior to his present roles and responsibilities, Prince Badr was listed as the Chairman of the Board of Directors at Saudi Research and Marketing Group (SRMG). "Due to the media reporting on the da Vinci’s Salvator Mundi purchase, the Embassy of the Kingdom of Saudi Arabia in Washington, D.C. inquired from His Highness Prince Badr Al Saud’s office on the details related to the art piece’s purchase. Upon reaching out, the Embassy learned through information conveyed by His Highness's office that the art work was acquired by the Abu Dhabi Department of Culture and Tourism for display at the Louvre Abu Dhabi in the United Arab Emirates and that HH Prince Badr, as a friendly supporter of the Louvre Abu Dhabi, attended its opening ceremony on November 8th and was subsequently asked by the Abu Dhabi Department of Culture and Tourism to act as an intermediary purchaser for the piece." That same date the Louvre Abu Dhabi again tweeted, echoing the Saudi official statement that the “Salvator Mundi” had been acquired by the Department of Culture and Tourism - Abu Dhabi on the museum's behalf. Why Prince Badr would bid for the UAE museum in contest with another UAE bidder has never been explained. What is known is that Saudi Crown Prince Mohammed Bin Salman is a close ally to his counterpart in Abu Dhabi, Crown Prince Mohammed bin Zayed al-Nahyan and quickly purchased the 26-bedroom luxury yacht known as "The Topaz", originally owned by Mansour Bin Zayed, the brother of the UAE Crown Prince, for $450 million in a swap for the painting. On September 3, 2018 Reuters news service, reported that they had been shown a document which illustrated that Prince Badr had been authorized to purchase the artwork, on behalf of the Abu Dhabi Department of Culture and Tourism. Who "authorized" him, or when, is not stated in the brief news report, nor has the nature or details of this document been made public. What is known is that the painting has still not gone on display at the Louvre in Abu Dhabi despite the earlier September 18, 2018 exhibition date announcement by the UAE museum. Where the painting is now, remains an unsolved mystery, as no news has officially been released by either the museum or the Abu Dhabi Department of Culture and Tourism since the September 8, 2018 announcement that the planned unveiling of the Leonardo at the museum had been be postponed. 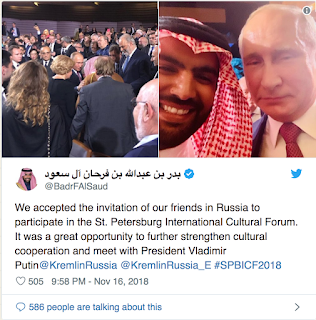 In closing to this long article, a look at Prince Badr's twitter feed brings us full circle back to Russia. "We accepted the invitation of our friends in Russia to participate in the St. Petersburg International Cultural Forum. It was a great opportunity to further strengthen cultural cooperation and meet with President Vladimir Putin. Also, Saudi's crown prince's fascination with pricey yachts, also apparently includes yachts formerly-owned by Russian billionaires. In 2015 Crown Prince MbS purchased the Italian built, 134-meter "Serene" on the spot from exiled Stolichnaya vodka magnate, Yuri Scheffler for $458 million. East–West tensions, mysterious sheiks, a brewing Cold War, mixed with betrayals, and the chess games of power and influence. If only Ian Fleming had lived to write a sequel. In recent days numerous articles have been released outlining the role of art in the Panama Papers. (For an outline of the nature of the Panama Papers click here.) Based on these leaked files, journalists have mapped how art has figured within a system of tax avoidance and ownership concealment. Both for the money and for the art, the purpose of these ventures can be described as a superficial repudiation of ownership, in order to fortify the same and to protect the assets from various types of intrusions. The usage of shell-companies can thus safeguard the real owners from challenges to their ownership as they officially are not the named owners. 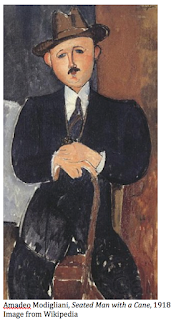 Another type of ownership obscurity can be seen in the case of the Seated Man with a Cane, a Modigliani painting bought in 1996 by the International Art Centre (IAC) and valued at $18-25 million. According to a restitution claim filed by Philippe Maestacci on October 28, 2011, this painting had been looted by the Nazis from his grandfather, the art dealer Oscar Stettiner. Stettiner's inventory had been sold by Marcel Philippon a Nazi-appointed administrator after Stettiner fled from Paris in 1939. The Modigliani had been sold in 1944 and as early as 1946 Stettiner tried to retrieve the work but died two years later without resolving the claim. In 2011 Maestracci picked up the struggle and sued the art dealing Nahmad family, often associated with the IAC, seeking the return of the painting. However, the suit was withdrawn when the Nahmads claimed that the IAC owned the painting and rather than themselves. Indeed the ICIJ has reported that “The Nahmads have insisted in federal and state court in New York that the family does not possess the Modigliani.” The Panama papers have now revealed that the International Art Centre has been owned by the Nahmad family for 20 years and since 2014 the patriarch David Nahmad has been the sole owner. Confronted by the ICIJ David Nahmad's lawyer, Richard Golub, insisted that "Whoever owns the IAC is irrelevant", and the main issue is that Maestracci has no evidence that his grandfather, Stettiner, was the painting's original owner. This standpoint seems not to be commonly shared and on April 8 the Geneva Prosecutor's Office searched the facilities in the Geneva Ports looking for the lost painting. It was later revealed that the painting had been confiscated by the prosecutors during the raid. While the restitution claim remains to be settled the reappearance of the painting and the confirmation of David Nahmad's ownership finally makes it possible for Philippon to proceed with his restitution claim. According to Anders Rydell who has studied Nazi looted art, this case is not unique but he has found several other cases of Nazi confiscations figuring in the leaked files, which have also been hidden away through shell-companies and thus been beyond the reach of restitution claims. With the release of the Panama Papers he observes that "Maybe the right full owners may get their art back." In addition to these ownership battles, ample works of art are believed to be hidden away from sight as well as tax through shell-companies in the Free Ports. The story of hidden art has just started to unfold and has still a long way to go. What the new discoveries in the Panama papers reveal is not all that surprising, but rather a sad prediction revealed to be true. The art market has long been known to involve shady deals and international crime syndicates. The revelation that art is hidden away should not be news to any of us, but perhaps the emergence of the Panama Papers actually offers a rare opportunity to resolve some of the long standing mysteries which has troubled the art market. Perhaps this will allow restitution claimants fresh material which can enable them to proceed with their cases. Perhaps long lost paintings will be rediscovered from the bowls of the world's Free Ports. Perhaps not. We will wait and we will see. Two years later and no sign of the Lindauers?